Has it happened to you? Just as you are standing next your countertop, you see it-that area on the countertop with a cluster of hairline cracked tiles. Usually, you live day-to-day comfortably with blinders on, but once company comes over, the blinders fall off. It's a pesky detail that looms the longer you ignore it. The tile and grout issues also include the ones hidden behind the shower curtain that is yanked closed. Sometimes it seems that grout's only purpose is to collect dirt or stains before it decides to crumble out in chunks. If you're like many, you have equated the dilemma with a huge mess. There's the ripping out and replacing, the lengthy time required of anything seemingly "small," and fearing that nothing is a quick and pocketbook savvy project. Enter the Grout Medic. We are a Denver family operated business run by Jesus and Harold Barrios. Harold has been in the cleaning and restoration business for 18 years. Jesus, his son, joined the business in 2004. We will restore your tile and grout for just a fraction of the cost to replace it! When you contact the Grout Medic, you'll realize that Jesus manages the front-of-the-house with Renae, his Office manager (and Mother in law) and Jacque, Renae's assistant. 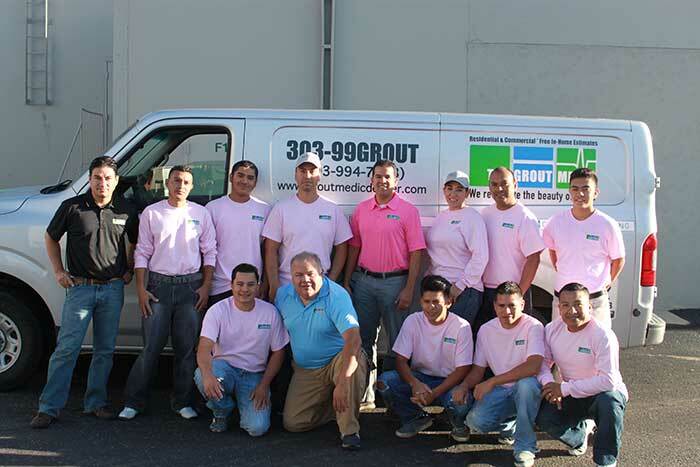 The Grout Medic offers a free initial professional evaluation at a convenient time for you. Harold handles the back-of-the-house-duties with Grandpa Don. And not to be outdone, even Mom (Tania) is controller of the company and takes part in keeping our reputable and trustworthy business in order. We only specialize in tile and grout restoration and believe in craftsmanship and performance based upon meeting your satisfaction. We have worked hard to earn a good name in our community having received a Gold Star Award from the Denver/Boulder BBB as well as being listed on Tom Martino's Exclusive Referralist. Please contact us now for your free tile and grout evaluation. 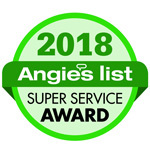 Our services including re-grouting and caulking shower, tubs, floors and countertops; cleaning, sealing and staining grout; repairing water damage in your shower; replacing cracked tiles; or repairing cracked grout. Call us at 303.99GROUT (303.994.7688) or fill out a contact form.